A year of firsts in many ways, 2014 saw Hong Kong markets continue to reap the benefits of their first-mover advantage created by Mainland China experimenting with policy changes in Hong Kong first, before rolling them out in other jurisdictions, and the development of more RMB-denominated investment products. In terms of regulation, 2014 saw continued efforts to ensure Hong Kong’s regulatory framework keeps pace with market developments and changes in international regulation. institutional investors were allowed to sell A Shares without transfer to brokers’ accounts one day prior to sale with effect from 30 March 2015. Implementation of Shenzhen-Hong Kong Stock Connect. New China-Hong Kong Mutual Recognition of Funds (MRF) scheme to be introduced to allow Hong Kong domiciled funds authorised by the SFC to be sold in China and CSRC-authorised funds to be sold in Hong Kong. Publication of HKEx’s conclusions on Weighted Voting Rights and decision on whether companies with dual class share structures and other WVRs should be allowed to list in Hong Kong. The FSTB should publish its consultation conclusions on allowing open-ended investment funds in corporate form under amendments to the Securities and Futures Ordinance. The waiver of stamp duty on all ETFs took effect on 13 February 2015 following the passing of the Stamp Duty (Amendment) Bill 2014 by Legco on 3 February. It is proposed that the profits tax exemption for offshore funds should be extended to private equity funds. New mandatory reporting obligations for OTC derivatives are expected to come into force in 2015 on implementation of the Securities and Futures (OTC Derivative Transactions – Reporting and Record Keeping Obligations) Rules. New fathers’ statutory entitlement to 3 days’ paid paternity leave took effect on 27 February 2015. The Securities and Futures Appeal Tribunal will begin its review of the SFC’s disciplinary decision against Moody’s Investors Service in September 2015 in relation to publication of its Red Flags Report on 61 Chinese companies. EY’s appeal against the court order to produce documents held by its Mainland affiliate should be heard in 2015. Probably the key event of 2014, the much anticipated Shanghai-Hong Kong Stock Connect programme (Stock Connect) finally launched on 17 November. Allowing Mainland Chinese investors to trade Hong Kong listed stocks, and Hong Kong and international investors to trade Shanghai-listed stocks through Hong Kong, the programme represents a major step in the opening of Mainland China’s capital markets and internationalisation of the RMB. It also cements Hong Kong’s position as the gateway to China with Hong Kong brokers providing the door through which investors worldwide can trade Shanghai-listed stocks. The stocks eligible for trading under the programme are limited to the constituent stocks of the Shanghai Stock Exchange 180 and 380 Indexes and the Hang Seng Composite LargeCap and MidCap Indexes. A and H shares not included in the specified indexes, but which have equivalent H or A shares listed on the other market, are also eligible for trading. Aggregate and daily quotas apply on a net-buy basis. Only Mainland “professional investors” (i.e. institutional investors and individuals with RMB 500,000 in cash and securities) can participate in the scheme. The programme is however intended to be scalable in size, scope and markets and the above restrictions are expected to be relaxed in the future. There have been rumours recently that the requirement for Mainland investors to hold RMB500,000 in cash and securities may be removed. With effect from 2 March 2015, Hong Kong and international investors are allowed to conduct covered short-selling of eligible A shares under Stock Connect’s northbound trading link. The list of A shares eligible for short selling is available on the HK Exchange’s website at http://www.hkex.com.hk/eng/market/sec_tradinfra/chinaconnect/Eligiblestock.htm. This is the first reform to the stock connect scheme since it was implemented in November. Short selling of eligible stocks is subject to limits: the number of shares which can be sold short as a percentage of the total number of those shares held by all Hong Kong investors is capped at 1% per day, and no more than 5% cumulatively over 10 consecutive trading days. The tick rule also applies so that the input price of a short selling order cannot be less than the most recent execution price of the Shanghai-listed security, or its previous closing price if no trades have been executed on a given day. Chinese investors have always been able to short sell Hong Kong-listed stocks under the scheme. HKEx also implemented a new system from 30 March 2015 which means that institutional investors who hold A shares through custodians no longer need to transfer their A shares to brokers the day before they want to sell in order to comply with China’s pre-trade checking requirement. Many overseas fund managers were previously prevented from trading A shares through the Northbound link as their rules prevent compliance with this requirement which was also contrary to standard international practice which allows settlement within two days after sale, a practice commonly followed in Hong Kong and other leading markets. Under the new system, institutional investors holding shares through custodians can open Special Segregated Accounts with CCASS and are allocated a unique investor identification number. Pre-trade checking is then conducted on the basis of the A shares in Special Segregated Accounts before market open. When placing a sell order, the investor only needs to give its investor ID number to its selling Exchange Participant and its custodian can transfer the shares from the SPCA for settlement after execution of the trade. However, settlement must still take place on the same day the trade is executed. A major boost was given to trading of Hong Kong listed stocks by Mainland Chinese investors in March when the Chinese regulators gave the go-ahead for Chinese mutual funds to trade Hong Kong-listed shares through Stock Connect’s southbound link with effect from 30 March 2015. Previously the southbound link had only been open to wealthy retail investors. Demand from Chinese investors through the southbound link was weak in the early months of Stock Connect’s operation. The move led to April trading of Hong Kong listed shares by Mainland investors through the Southbound link reaching HK$235 billion – up 559% on the previous month. April also saw the Southbound daily quota used up for the first time since the launch of the scheme. The surge in Southbound trading also resulted in the market capitalisation of the Hong Kong exchange exceeding HK$31,000 billion (about US$4 trillion) for the first time on 27 April 2015. The Shenzhen-Hong Kong link is expected to mimic the existing Shanghai link and to include shares listed on Shenzhen’s ChiNext Board (its Nasdaq-style board for high-growth, high-tech companies). It is hoped that the Shenzhen link will offer more access to Chinese technology, consumer and health-care stocks, which make up almost half of Shenzhen’s benchmark index, while the Shanghai stock exchange is dominated by state-backed banks and large industrial companies. Approvals for the China-Hong Kong MRF scheme, the “through train” for Chinese and Hong Kong funds and the first such scheme between the Mainland and a foreign market, were in the final stages in October 2014 according to a speech given by Alexa Lam, SFC Deputy Chief Executive Officer. The scheme will give Hong Kong funds access for the first time to the Mainland’s 1.3 billion potential investors and is expected to promote growth in Hong Kong’s fund management industry, since participation will require funds to have a Hong Kong domicile and be managed by an SFC-licensed asset management company. The scheme is expected to be launched in the second half of 2015. Chinese funds authorised by the China Securities Regulatory Commission to be sold in Hong Kong. It will be a condition of recognition under the scheme that fund managers must be licensed by their home regulator – the SFC for Hong Kong funds and the CSRC for Chinese funds. Funds recognized under the scheme will then benefit from a streamlined vetting procedure by the regulator of the market in which they will be offered – the CSRC for Hong Kong funds and the SFC for Chinese funds. An article in the South China Morning Post on 26 February indicated that the SFC has identified about 600 Hong Kong and Mainland funds for participation in the mutual recognition scheme for funds.2 It quoted deputy Chief Executive Alexa Lam as saying that about 100 of the 300 Hong Kong domiciled funds are qualified while there are about 500 Mainland-domiciled funds which would be eligible to trade in Hong Kong. The reason two-thirds of Hong Kong domiciled funds would not qualify is that the scheme will be restricted to simple bond and equity issues and will not allow the selling of hedge funds or derivatives funds. The scheme is expected to be launched in 2015. Ultimately, the Hong Kong exchange hopes that mutual market access will be expanded to include a range of other investments including fixed income, commodities and ETFs. Trading in RMB-denominated metal contracts in zinc, copper and aluminium started on the Hong Kong Futures Exchange on 1 December 2014, marking the Hong Kong Stock Exchange’s (HKEx’s) first step in increasing commodities trading on the exchange, following its acquisition of the London Metal Exchange in 2012. The so-called London Metal Mini Futures are traded on the Hong Kong Futures Exchange and are cash-settled futures contracts. They are settled at the official settlement prices for the relevant metal published by the LME. Their aim is to match Chinese physical players’ exposure to commodities contracts priced in RMB and to establish RMB pricing of metals in Asian trading hours. HKEx retained its second place ranking (after the NYSE) among the world’s top IPO fund-raising exchanges in 2014, raising HK$227.8 billion (US$29.3 billion) in 115 IPO3 an increase of 33% on the HK$171.3 billion raised in 2013. The top IPO exchange was NYSE, for the third year in a row, with IPO funds raised of US$74.1 billion, up 62% on 2013, boosted by the world’s largest IPO ever, of Chinese internet company, Alibaba Group, which raised US$25 billion in September 2014. Alibaba’s first choice listing venue was however HKEx, but its management structure allowing the company’s founders and senior management to nominate 50% of the board without holding an equivalent number of the company’s shares, would have contravened HKEx’s “one-share one-vote” (OSOV) principle. In the wake of Alibaba choosing to list in the US rather than change its governance structure, HKEx published its Weighted Voting Rights Concept Paper in August 2014, seeking views on whether Hong Kong’s Listing Rules should be amended to allow companies with dual class shares and other weighted voting rights (WVR) structures, like Alibaba, to list. Those in favour are keen for Hong Kong to recover its competitive position as the international fund raising market of choice for Mainland Chinese companies, given the recent popularity of the NYSE and Nasdaq for listing Chinese tech stocks. Companies with WVR structures accounted for 86% by market capitalisation of the Mainland Chinese companies primary listed in the US at 31 October 2014. Technology was also the leading sector for IPOs worldwide in terms of capital raised in 2014, with the sector raising US$50.2 billion worldwide, driven by Alibaba’s record breaking IPO. WVR structures are particularly common among tech companies and so HKEx’s OSOV principle effectively prevents the Hong Kong listing of many Chinese tech companies which, like Alibaba, Baidu, JD.com Inc. and Weibo Corp., list in the US where WVR structures are not an obstacle to listing. Arguments against listing companies with WVR structures focus on investor protection concerns, although these are allayed to a degree by HKEx’s already comprehensive regulation of connected and related party transactions and the provisions of the Takeovers Code requiring equal treatment of shareholders in takeover situations. 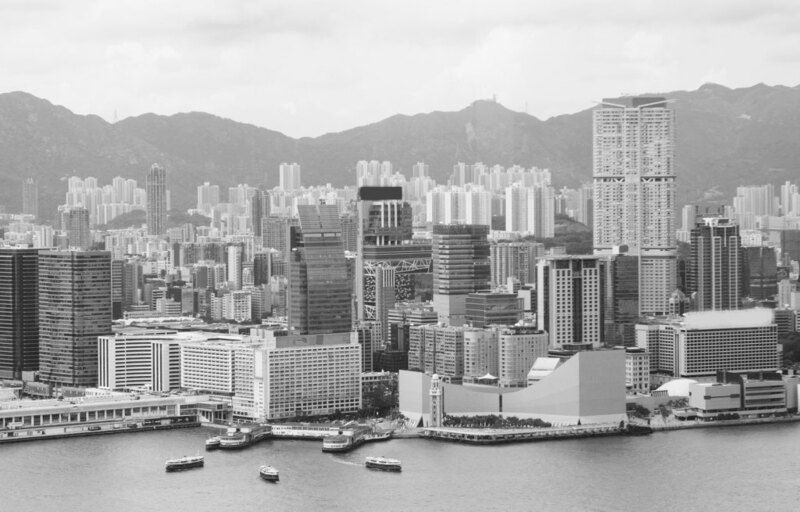 Some commentators have argued that it is not appropriate to allow companies with WVR structures to list in Hong Kong, because Hong Kong does not have a class action regime or allow legal contingency fees. The US, whose stock exchanges permit the listing of such companies, has a class action regime and allows law firms to charge on a contingency basis which it is argued makes it easier for minority shareholders to take legal action. The class action regime argument is however a red herring in terms of the argument against allowing WVRs to list. The principal claim in a US securities class action suit is usually one of securities fraud under section 10(b) of the Exchange Act of 1934 and Rule 10b-5 of the SEC adopted under the Exchange Act. They are typically used in the US where investors suffer loss due to company fraud or misleading disclosure which triggers a drop in the company’s share price. The US class action regime assists minority shareholders in these cases as they allow one shareholder to bring a representative action against the company on behalf of the entire class of shareholders who each have the same direct claim against the company. Class action suits are not however used to obtain a remedy for shareholders for the types of governance issues which are likely to arise in the case of companies with WVR structures. The types of wrongdoing most likely with this type of company are that the company’s controllers breach their fiduciary duties to act in the best interests of the company and its shareholders as a whole; that the directors waste corporate assets or breach duties owed to shareholders as a result of mismanagement or self-dealing. In these cases the appropriate type of action is not a class action suit by shareholders to recover damages from the company but a derivative action which a shareholder brings on behalf of the company against the company’s directors. In these actions the minority shareholders have no direct action against the company. Instead their action is derivative to the company’s action against its directors. In a derivative action, the court will typically order improvements in the company’s corporate governance. If damages are awarded, they are awarded to the company, not the shareholders. The minority shareholders benefit indirectly from improvements to the company’s governance and any consequential increase in the company’s share price. Hong Kong shareholders are already entitled to bring a derivative action on behalf of a company against a wrongdoer (e.g. a company director) under sections 731 to 738 of the Companies Ordinance (Cap. 622). There has been little shareholder litigation against HK listed companies. This is partly a cultural phenomenon, but also reflects the difficulty and cost of bringing a derivative action. Hong Kong does not allow lawyers to charge on a contingency basis, hence the best course of action for a minority shareholder is often to simply sell out. in June 2012, the Court of First Instance granted an order sought by the SFC under section 213 SFO for Hontex International Holdings Company Limited (Hontex) to make a repurchase offer to around 7,700 public shareholders who had subscribed for Hontex shares in its IPO or purchased Hontex shares in the secondary market. The order was made based on Hontex’s admission that it had contravened Section 298 SFO (offence of disclosure of false or misleading information inducing transactions). The SFC has also started proceedings against Qunxing Paper Holdings Company Limited (Qunxing) alleging that materially false or misleading information was included in Qunxing’s IPO prospectus for its 2007 listing and the announcements of its annual results for the years 2007 to 2011. The SFC is seeking orders for Qunxing’s public shareholders and warrant holders to be restored to their positions before acquiring the shares and warrants. The SFC also commenced proceedings in both the Court of First Instance and the Market Misconduct Tribunal against CITIC Limited (CITIC) and five of its former executive directors in September 2014 based on market misconduct involving disclosure of false or misleading information on CITIC’s financial position following huge losses incurred as a result of its investment in leveraged foreign exchange contracts in 2008. The SFC is seeking restoration or compensation orders to restore or compensate up to 4,500 investors who purchased CITIC shares between the date on which the false or misleading information was allegedly announced and the date the true financial position was disclosed. The allegations relate to a 12 September 2008 circular issued by the company stating that the directors were not aware of any adverse material change in the group’s financial or trading position since the end of 2007. Just over a month later, on 20 October 2008, the company issued a profit warning which disclosed huge realised and mark to market losses arising from leveraged foreign exchange contracts of which it became aware on 7 September 2007, just prior to the circular containing the statement of no material adverse change. CITIC incurred a loss of US$2 billion from the forex derivatives, also known as “accumulators”. Class Action Regime a Red-herring? It seems that a US-style class action regime in HK would not assist minority shareholders in bringing derivative actions against WVR company controllers who breach fiduciary duties to the company since US class actions are only available where shareholders have direct claims against the wrongdoers. The appropriate action for shareholders to bring in the case of directors’ breach of fiduciary obligations is a derivative action, which is available in Hong Kong. Class actions do not assist where a shareholder brings a derivative action. The availability of class action suits in the US does not appear to be relevant to the question of whether or not it is appropriate to allow the listing of companies with WVR structures as would seem to be suggested by the Concept Paper. The consultation closed at the end of November 2014. The Concept Paper said that if responses favoured allowing companies with WVR to list, the HKEx would publish consultation conclusions and a further consultation paper on the proposals. Comments made at an SFC media event last week by SFC CEO Ashley Alder and Chairman Carlson Wong suggested that the SFC is willing to allow the listing of companies with WVR structures provided that this is restricted to creative high-tech companies whose corporate values rely on their founders and restrictions such as sunset clauses are imposed for the protection of investors. 1 Bloomberg. “China State Council Said to Approve Hong Kong-Shenzhen Link”. 8 May 2015 at http://www.bloomberg.com/news/articles/2015-05-08/china-s-state-council-said-to-approve-hong-kong-shenzhen-link . 2 SCMP. “SFC identifies 600 funds for cross-border scheme”. 26 February 2015 at http://www.scmp.com/business/banking-finance/article/1724492/sfc-identifies-600-funds-cross-border-scheme. 3 Excluding transfers of listing to the Main Board from GEM.